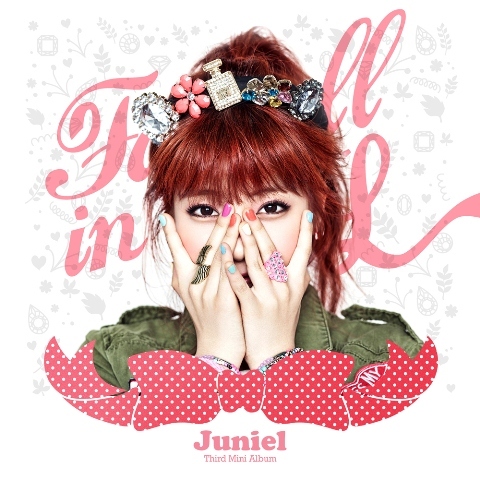 My latest LOVE in Kpop is this soooo adorable singer-songwriter nicked as JUNIEL. she is only 19 years old and has began her career in Japan but seriously debuted in South Korea 2012 with the hit track of 'Illa Illa' which is also my forever favourite track! She is totally differ with the other K-pop artist as she came with her own unique voice and easy-listening genre of music. haha..she is not dancing to the choreography but only holding on to her guitar! her songs are very pleasant. 01. 귀여운 남자 (Pretty Boy / Cute Boy) --> recommended! 02. 데이트 (Date) --> a very sweet song. 03. 잠꼬대 (Sleep Talking) --> something different!